The best part? You will automatically be entered in our giveaway, where you will stand a chance to win mystery prizes. We won’t reveal too much yet, but highlights include a two-night stay in a Deluxe Ocean View room (inclusive of daily breakfast for two) at Sheraton Bali Kuta Resort, and dining vouchers at Andaz Singapore’s Oysters & Ribs buffet paired with free-flowing wines, beer and prosecco. Intrigued yet? Watch this space for more details, and don’t forget to complete our survey below. 2. 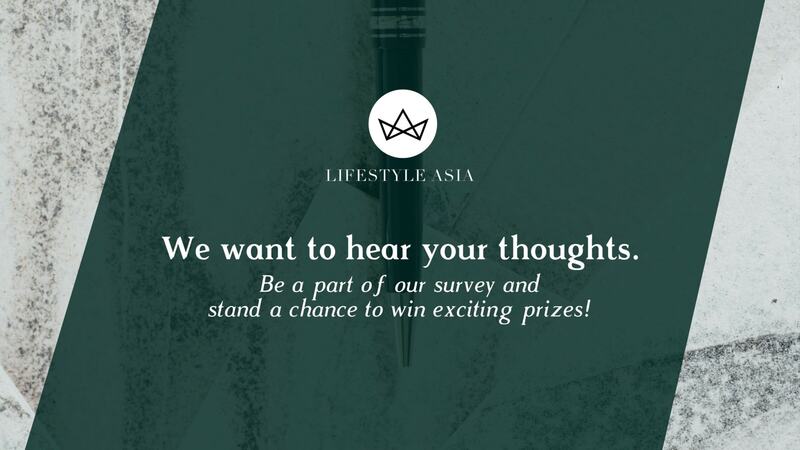 When you think of Lifestyle Asia SG, what comes to mind? 3. Which words best describe Lifestyle Asia SG to you? You can select up to five words. 4. Why do you read Lifestyle Asia SG? You can select up to three points.